Dilip Kumar in Ram Aur Shyam, Amitabh Bachchan in Aakhree Raasta or Shah Rukh Khan in Om Shanti Om, almost every actor worth his salt has played a double role in the movies. More often than not, they're playing twins separated at birth exhibiting distinctly different personalities, parent and child with obvious resemblance to one another or a vendetta seeking reincarnated avatar. Occasionally though, they are lookalikes who aren't related to each other by blood but the similarity in their appearance is what provides the plot its impetus. Here are a few instances. 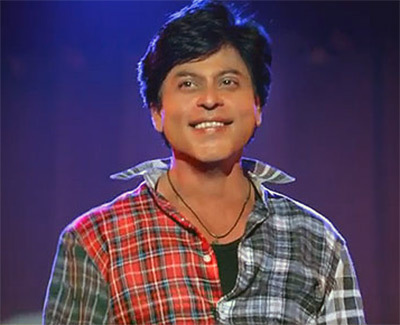 In SRK's much-anticipated April release, the actor plays a fictional version of his superstar as well as his own biggest follower, which leads to serious complications in their lives. The actor has taken special care to avoid an identical face and sports a good amount of prosthetics to achieve that. And if its exciting new promo is anything the go by, colour us curious. 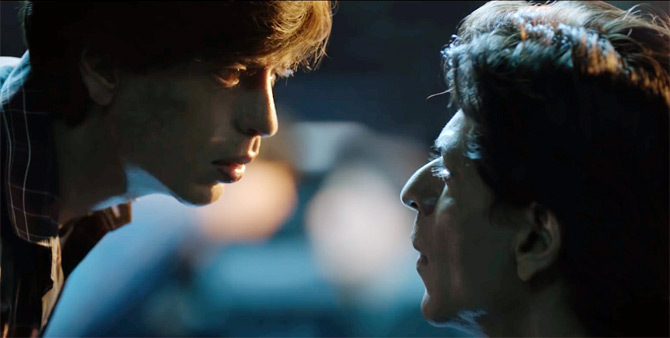 As an aside, Khan has previously worked on a double role in Mahesh Bhatt's Duplicate, where he plays both good and evil but not related by blood. While Kangana Ranaut's spunky Kanpur girl, Tanu was already an established character, it's the introduction of Haryanvi-blathering athlete Kusum aka Datto that got everyone to sit up and notice in its even more successful sequel. The entire premise of Tere Bin Laden is based on Pradhuman Singh's resemblance to Osama Bin Laden in both the movies. 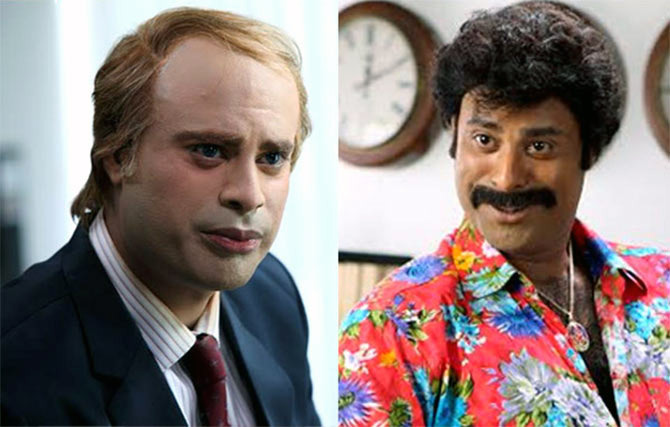 But in one that came out recently, it's Sikandar Kher's physical transformation from American diplomat to NRI filmmaker that has us in splits. Technically, it's not even a double role but Kher is so dramatically unique as both that we just had to have him on this list. Salman Khan plays both -- a prince and a nautanki actor in Sooraj R Barjatya's rehash of The Prisoner of Zenda. After his blue-blooded avatar is abducted, his naïve lookalike is forced to masquerade as him and appease his bickering siblings and peeved fiancée. And there's only a moustache to tell them truly apart. Hrithik Roshan turned an instant darling of the masses after his debut in Kaho Naa... Pyaar Hai. With good reason too. The actor shows his range as the sweet, middle-class, struggling singer who's bumped off rudely in the middle of the story to make way for his suave, bespectacled carbon copy in New Zealand. Ashutosh Gowariker's What's Your Raashee was a misfire but it sure showcased Priyanka Chopra's potential to slip into various skins, twelve to be precise, representing the twelve different zodiac signs. What's incredible is how well she played these completely unrelated Gujarati girls and imbued them with a personality independent from the other. Life is so comfortable in the movies thanks to lookalikes. When a stern armyman Kader Khan refuses to give his daughter's hand to Govinda in marriage, he's traded for his replica, a flop stage actor, also Kader Khan, to pass off for him. In the breezy musical Satte Pe Satta, Amitabh Bachchan's dead ringer provides the story with its ultimate twist. Remember the time the happy-go-lucky AB is kidnapped and held captive and his green-eyed; grey-haired, graver version is planted in his place by Amjad Khan to achieve his vicious goals? 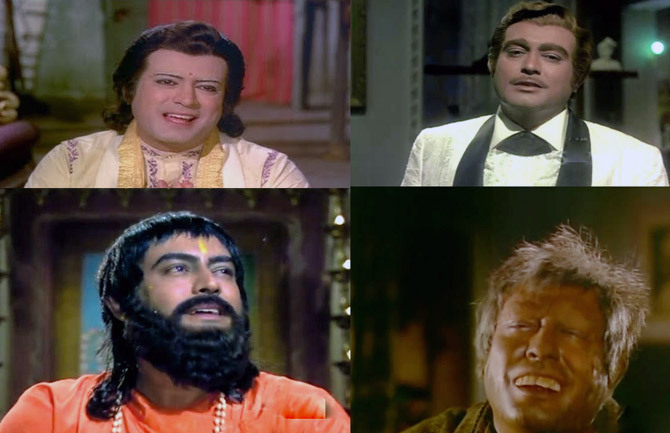 Long before PC, Sanjeev Kumar flexed his versatility when he essayed nine different roles in Naya Din Nayee Raat. Bandit, sadhu, leprosy-ridden, cigar-smoking tycoon, the list goes on, the late veteran is exceptional personifying the various episodes and encounters of Jaya Bachchan's narrative as figures who are completely unrelated to one another. 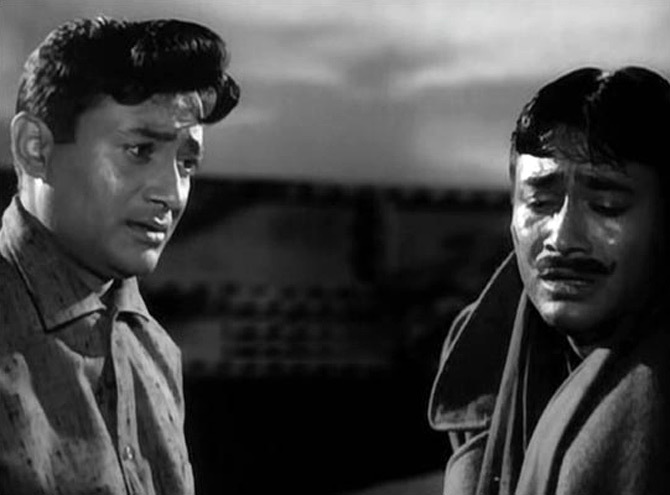 The 1961 classic, which was re-released amidst much fanfare in colour after 50 years, features Dev Anand in a double role. Interestingly, both Dev Anands serve the army and cause confusion in their love lives owing to their striking resemblance with another. Only one's clean-shaven and the other sports a thick moustache. His performance earned him a Best Actor nomination at Filmfare Awards but lost out to Raj Kapoor's in Jis Desh Mein Ganga Behti Hai.